The Riverside Country Fair and National Date Festival delivers an array of delights from Funnel Cake to Monster Trucks. Bull-riding is among the attractions at the 73d annual Riverside Country Fair and National Date Festival, Feb. 15-24. As the presenting sponsor of the Riverside County Fair and National Date Festival, Fantasy Springs Resort Casino is giving back to the community with a $5 admission fee for all fairgoers on opening day, Feb. 15. The 73rd annual edition in Indio, which runs through Feb,. 24, features carnival rides, camel races, a beauty pageant, agricultural competitions, live performances by major musical acts, and plenty of tasty date treats. The headliner entertainment in the Fantasy Springs Concert Pavilion includes Randy Houser, Ramon Ayala, Salt-n-Pepa, Kool & the Gang and Mariachi Sol de Mexico de Jose Hernandez. The concerts are included with the price of admission. The Grandstand Arena features exhilarating shows that are a must see and also part of the admission ticket. 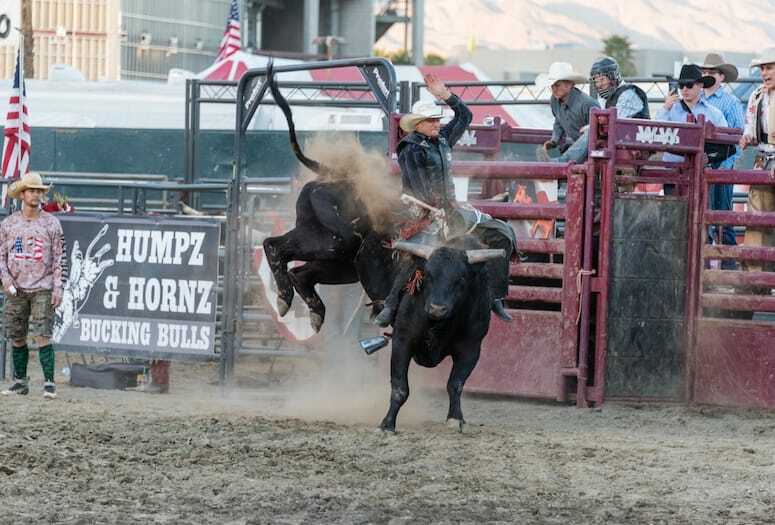 Humpz & Hornz Bull Riding, Monster Trucks, Junior Outlaw Sprints, Mini-Dwarfs Racing and Demolition Derby will thrill the crowds throughout the fair run. There will also be a special Monster Trucks and Freestyle MotoX show Feb. 20. Indulge in all your favorite foods from cinnamon rolls to Funnel Cakes and deep-fried Twinkies, while the Musical Pageant will mesmerize crowds with a talented cast of singers and dancers in dazzling regalia. New this year, there will be mid-week entertainment on the Pageant Stage that will include regional tribute bands. Two carnivals will delight the entire family with extreme rides for thrill seekers, as well as rides for the young or young at heart. 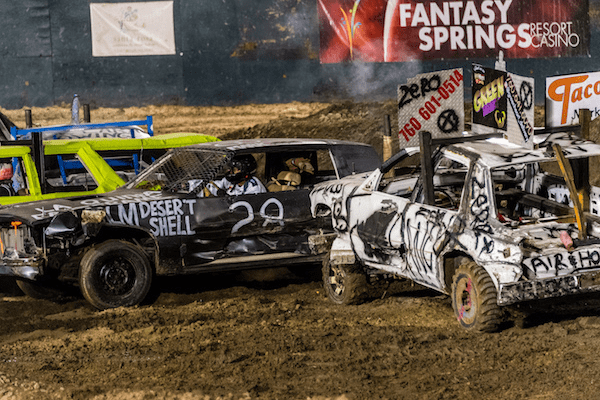 Witness exciting maneuvers on the dirt track during the Demolition Derby. • SunLine Transit Agency – Ride the bus to the Fair. Bus riders will receive a $4 discount on admission with their SunLine Day Passes. • Veteran’s Appreciation Day – Feb. 18 – join us for the Presidents’ Day Parade and a special presentation on the Pageant Stage at 5:30 p.m. dedicated to veterans. • Kids’ Day – Feb. 19—21 — with each paid adult admission, one child (ages 6 to 12) can get into the fair at no charge from 3 p.m. to close. • Riverside County Department of Waste Resources – Feb. 20 – Bring in small used e-waste (electronic devices) for recycling. Get into the Fair for free. Acceptable items are listed on DateFest.org. • NBC Palm Springs Day – Feb. 21 – Say the phrase that saves for a discounted $6 admission. Watch NBC Palm Springs News for more info. • Riverside County Fair guests can visit the Orange County Fair (July 12 to Aug. 11) for free with a voucher from the information booth while supplies last. The 73rd Annual Riverside County Fair & National Date Festival, Feb. 15-24. Gates are open 10 a.m. to 10 p.m. from Friday through Monday and noon to 10 p.m. Tuesday through Thursday. Purchase tickets early to take advantage of discounted prices. For more information, call 1-800-811-3247 or visit datefest.org. 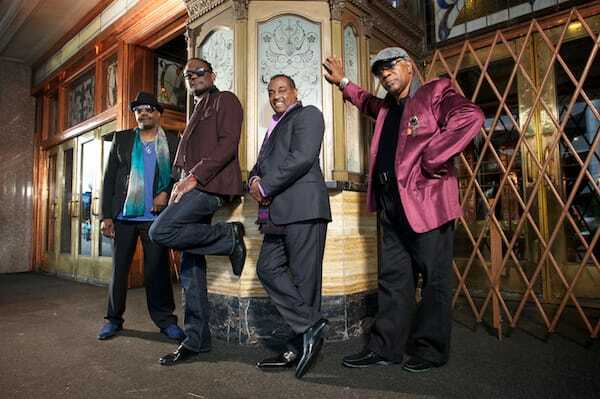 Kool and The Gang is among the headliners at the Fair.